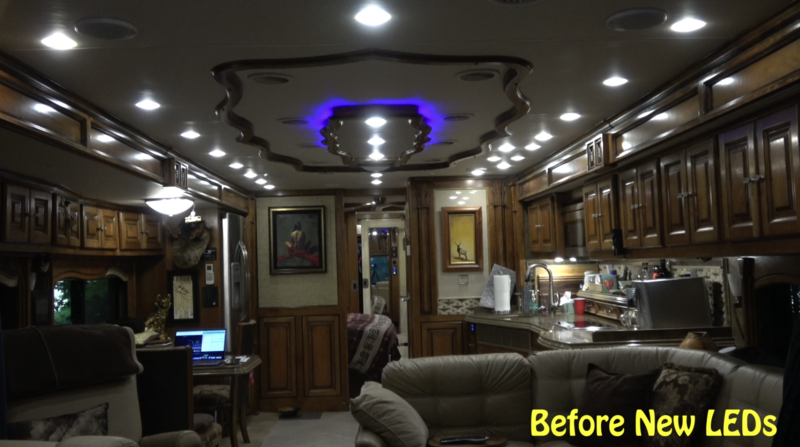 Did You Know LED Lights Get Dimmer? You likely know LED lights are great power savers and most LED lights “say” they will last LONGER than standard filament lights. However sadly, this is not true and the reason is because of heat. Heat buildup is the killer of LED lights and in particular the chips that power them. 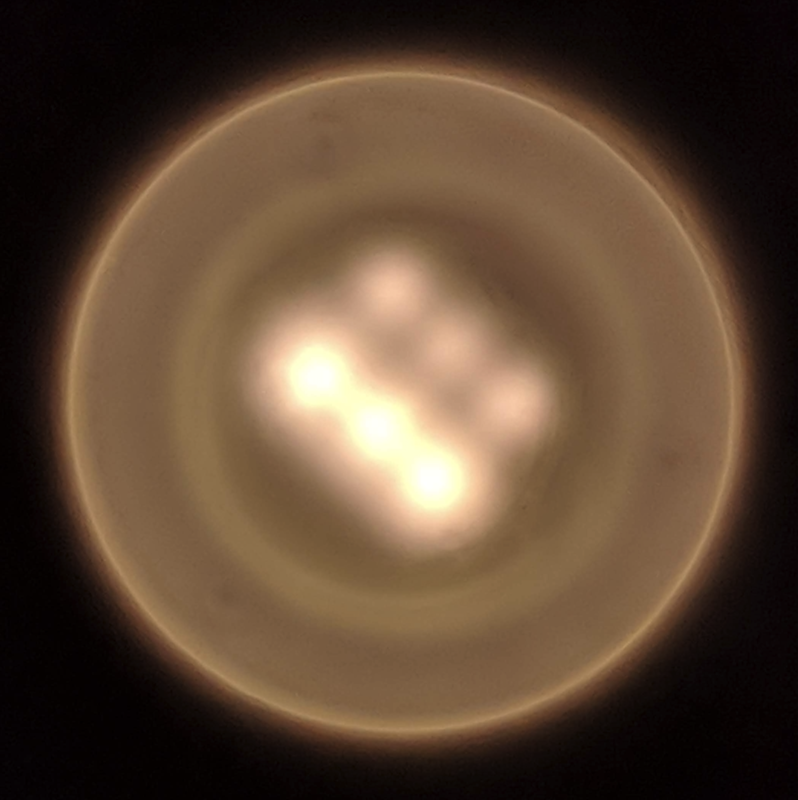 Yes, LED lights run cooler than standard halogen lights or filament lights. The reason standard lights are much, much hotter is because what make the actual light is a super heated wire. (AKAM filament.) LED lights are not and thus run cooler. However, they do produce heat and unless that heat is managed, the chips overheat. When they do, something has to give and it’s usually the brightness or some just burn out. Above: The bottom right LED Puck light is NEW. Overtime this will happen slowly. With the LEDs just getting dimmer and dimmer with you not even noticing it. 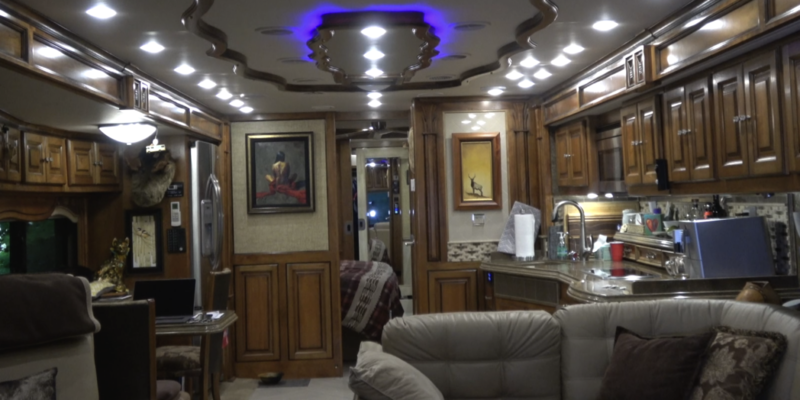 That is until, like Brenda, you go into a newer RV or coach and noticed that it’s much brighter than yours. In our case, we are 4+ years old and really did not notice it much. 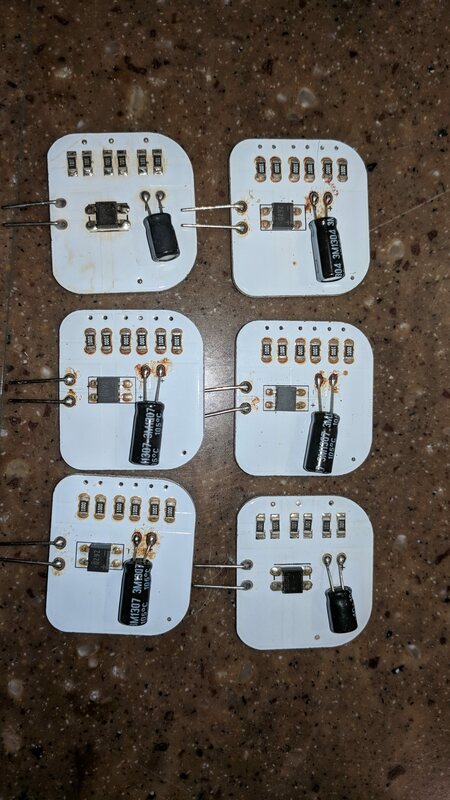 But let me tell you…I was amazed at the difference changing out the LED’s made! Now this of course totally depends on how much you use your RV or coach. Seeing we live full time in ours, we use the lights a lot and as such, they would dim sooner. So this will surely vary for each differently. 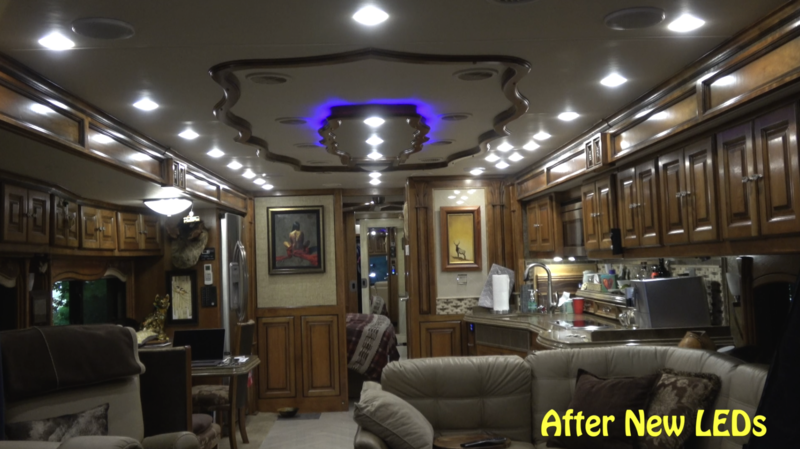 So the below images are BEFORE and AFTER shots after I replaced all the LED G4 Puck Lights in the front of the coach. You can see the difference it made and at night of course we can see the difference even more.